What is RGB? - ColorFX Inc.
A color model in which red, green, and blue values are used to reproduce a set of standard colors. 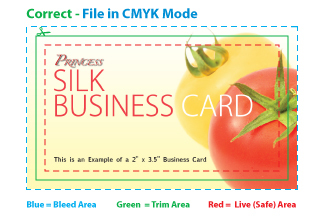 These are most commonly used with web design, television screens and computer monitors but are not used in offset printing. 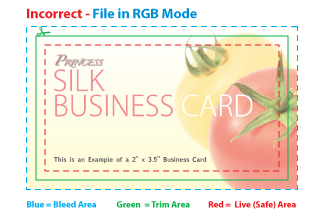 RGB files should be converted to CMYK prior to uploading. Colors may need to be adjusted after the conversion and may not appear correct on your monitor. Next What is the minimum / maximum acceptable resolution? Previous Do you accept Publisher or Word Document files?